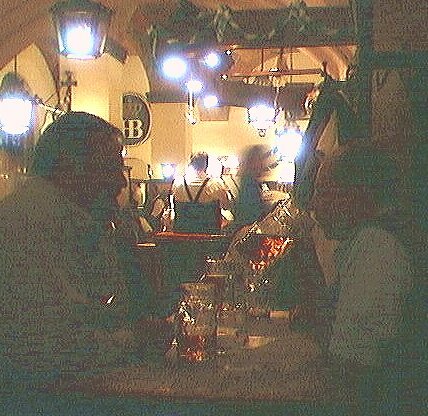 Hofbräuhaus neighbors. 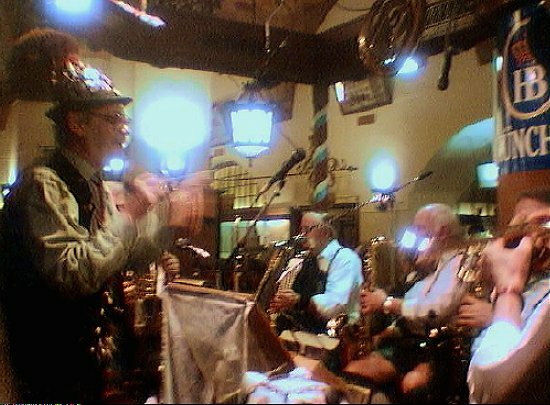 Long wooden tables, huge steins, and live music make for a very lively night. The Maestro. 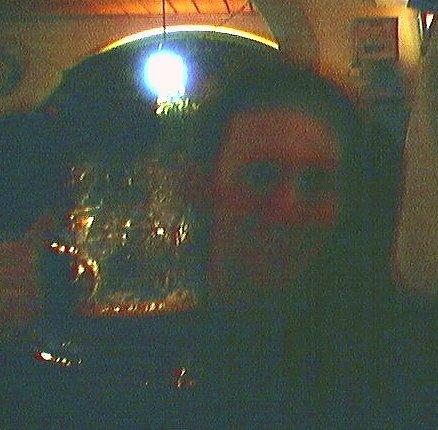 Fortunately, there was sufficient light to capture this character on film. The man who was sitting at our table--with whom we had some interesting conversations despite the fact that he spoke no English whatsoever and we spoke about the same amount of German--turned out to know "The Maestro". How great! 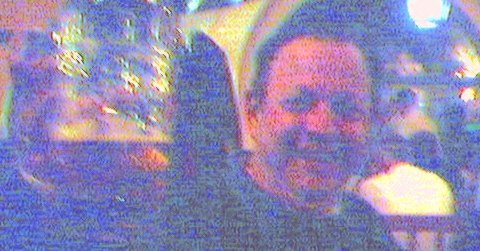 While we don't have any video or digital shots of our dining/drinking companion, we were able to snap a couple of pictures with the old dinosaur camera. Return to the JOURNAL page, return to the MUNICH page, or return to the GERMANY & SWITZERLAND page.